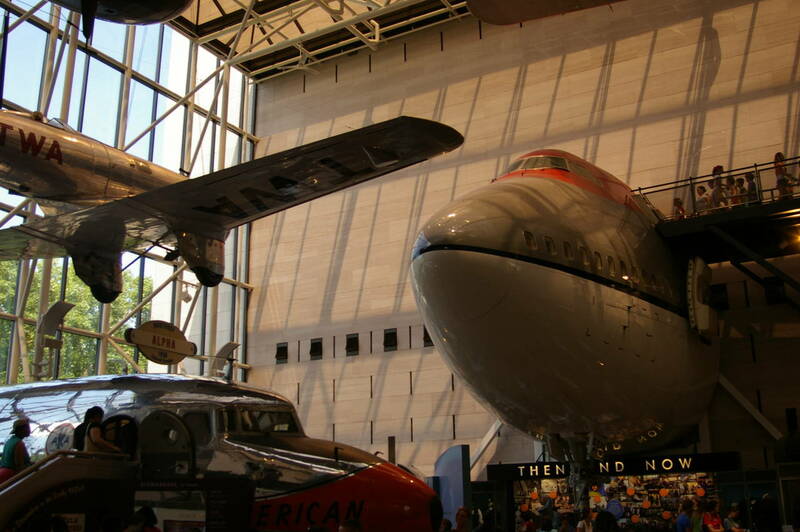 During my visit to New York City, I went on a one-day bus tour down to Washington D.C. (D.C. standing for District of Columbia), which is located a couple of hours drive south-west of New York, via the states of New Jersey, Delaware and Maryland. There wasn't a lot to see during the bus ride, just mile after mile of eight lane highway and a rest stop that is bigger than my local shopping centre. 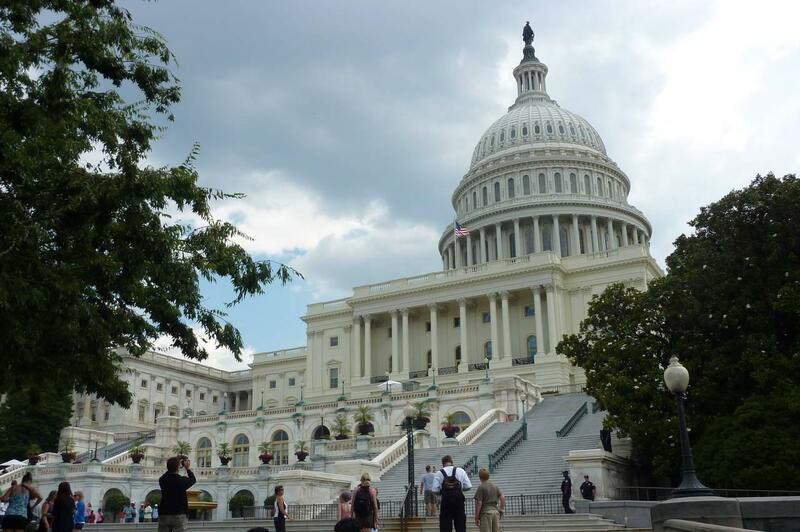 Finally reaching Washington, the tour headed for Capitol Hill (picture 1), where the U.S. House of Representatives and the Senate (collectively called the Congress) conduct their business in the Capitol Building (pictures 2 and 3). Construction of the building started in 1793 and was completed in 1811, though there have been a number of expansions since. 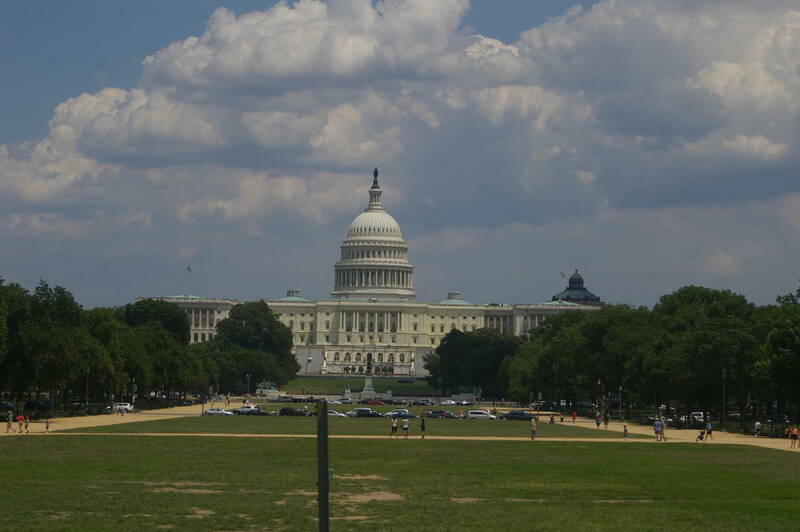 Washington's lack of high-rise buildings is due to a law that says no building in the city can be taller than the Capitol. 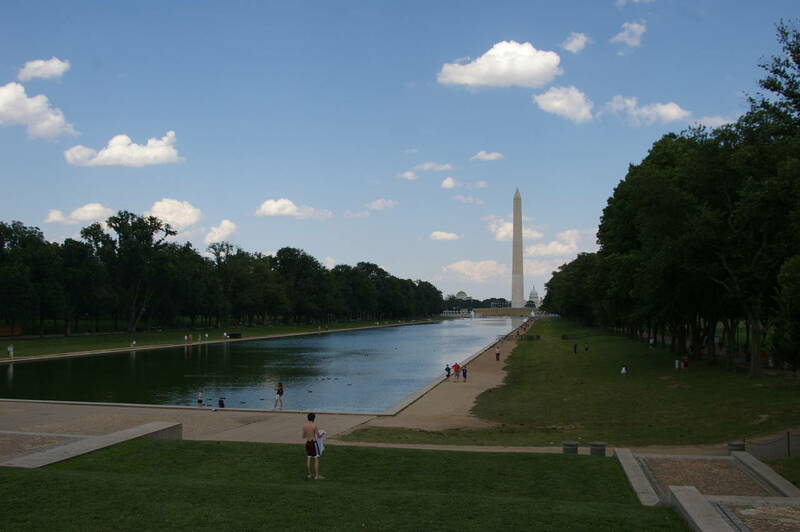 Capitol Hill stands at one end of the National Mall, a long strip of parkland that stretches to the Lincoln Memorial, with the tall obelisk of the Washington Monument roughly in the middle (picture 4). 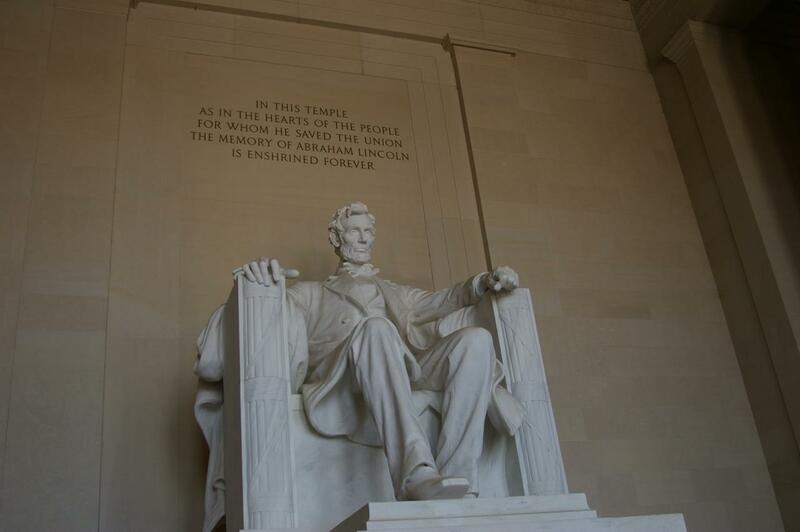 The monument to America's first president, George Washington, was built between 1848 and 1884 and stands 169 metres tall, making it the world's tallest stone structure and was the world's tallest structure of any kind until the Eiffel Tower claimed that title in 1889. 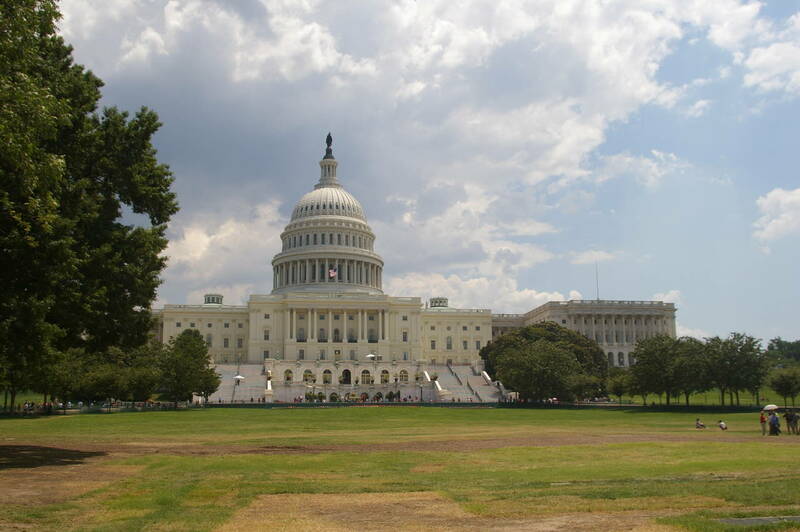 (The monument is allowed to be taller than the Capitol because it is a structure rather than a building.) About a quarter of the way up the obelisk you can see that the colour of the stone changes, indicating where construction stalled for some years due to funding problems and the American Civil War. 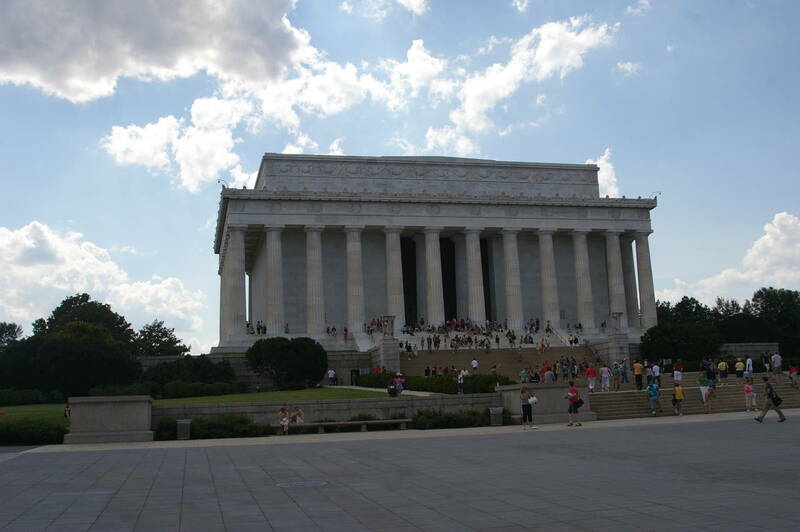 At the far end of the National Mall, the Lincoln Memorial (picture 5) is a large stone building that commemorates president Abraham Lincoln, Inside the building is a large statue of Lincoln (picture 6) and inscriptions of a couple of his famous speeches, including the Gettysberg Address. 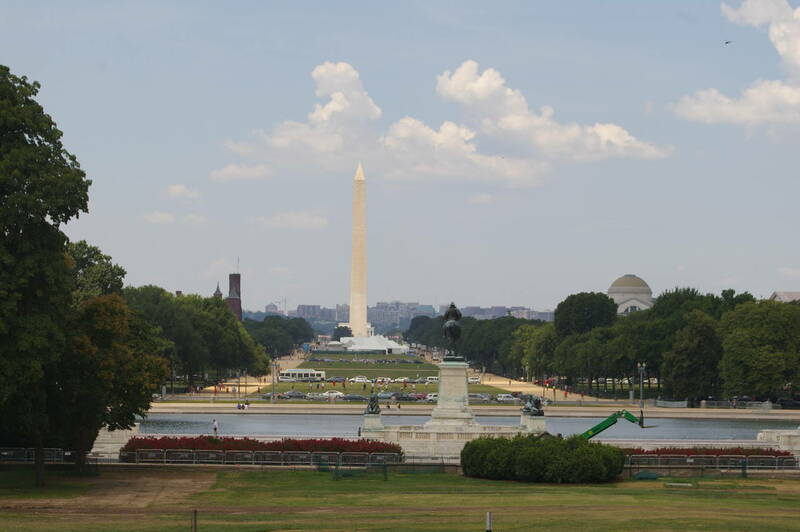 In front of the building there are views back along the Mall over the Reflecting Pool and past the Washington Monument to the Capitol (picture 7). 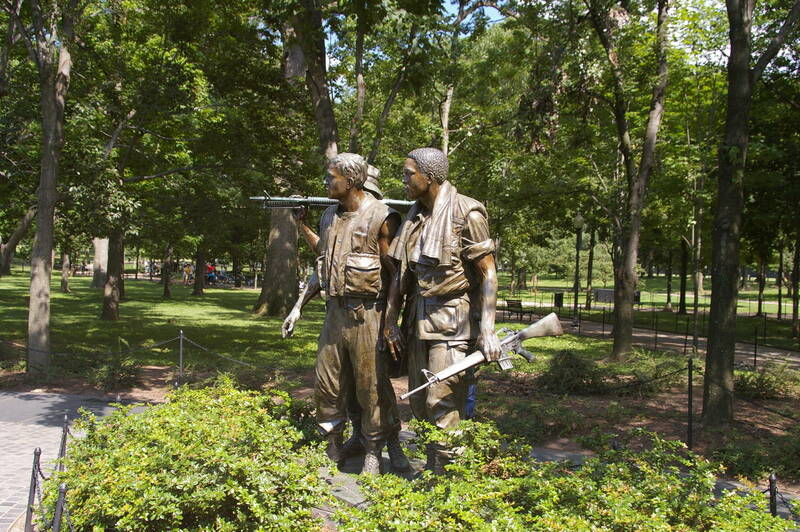 Nearby are several war memorials including the Vietnam Veterans Memorial (picture 8), Korean War Veterans Memorial and World War II Memorial. 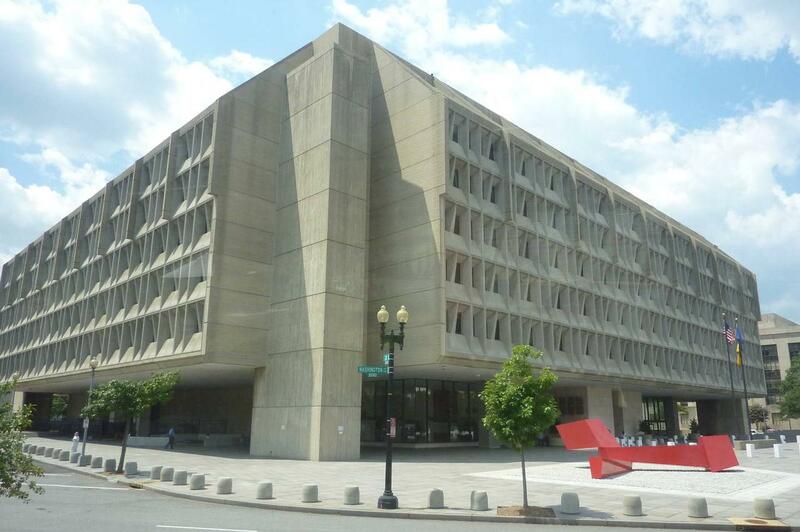 Elsewhere in Washington, we passed by the J Edgar Hoover Building (picture 9), which will probably be recognized by viewers of the X Files as the headquarters of the FBI. 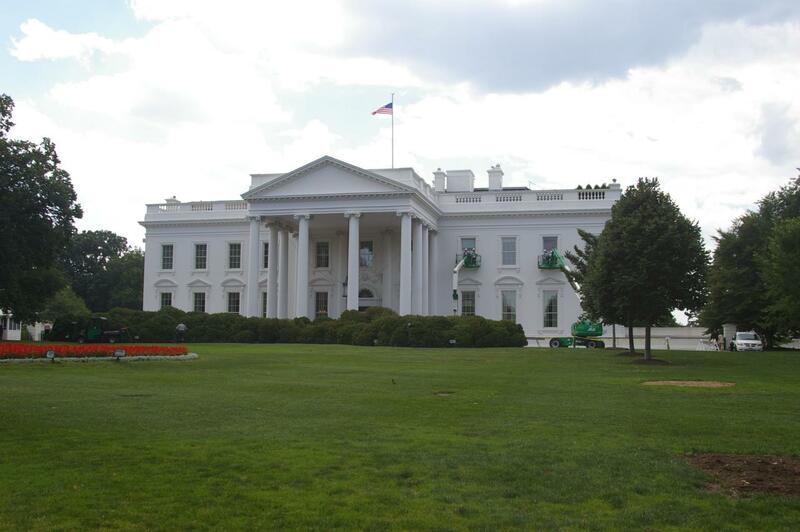 The next stop on the tour was the White House, the official residence of the president. 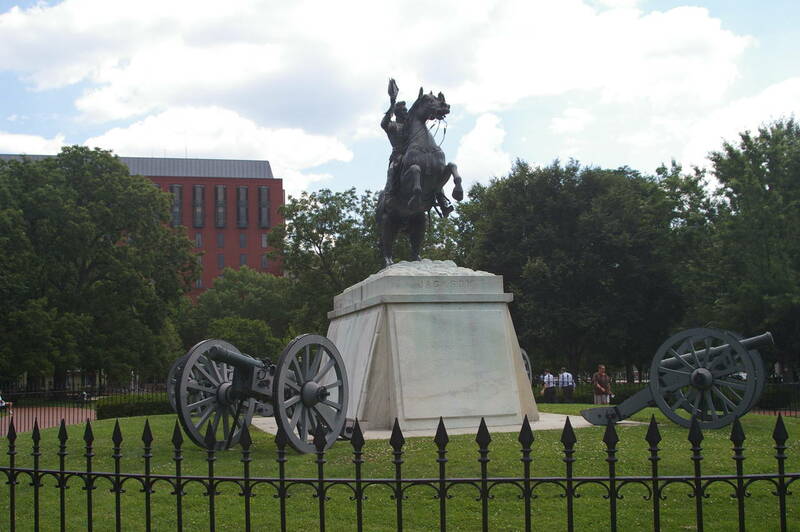 In a park in front of the Whute House was a memorial to the seventh President, Andrew Jackson (picture 10). 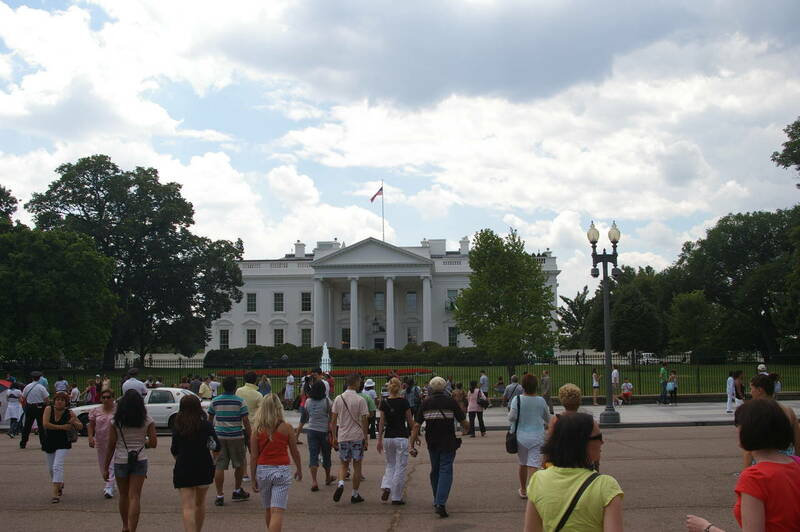 Outside the White House itself (pictures 11 and 12) were a mixture of tourists, police and silent protestors. The only activity visible beyond the fence was a group of workmen cleaning the windows and seceral security officers patrolling the grounds with large, vicious looking dogs. 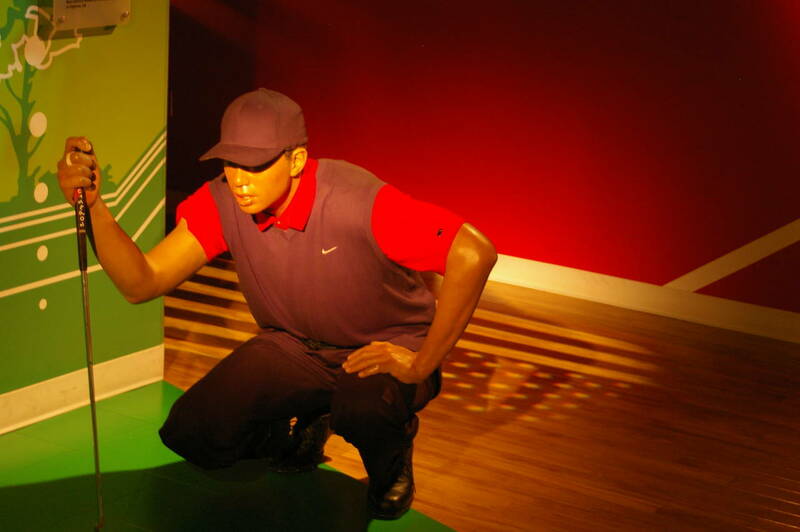 Another short ride on the tour bus took us to a branch of the Madame Tussauds Wax Museum. 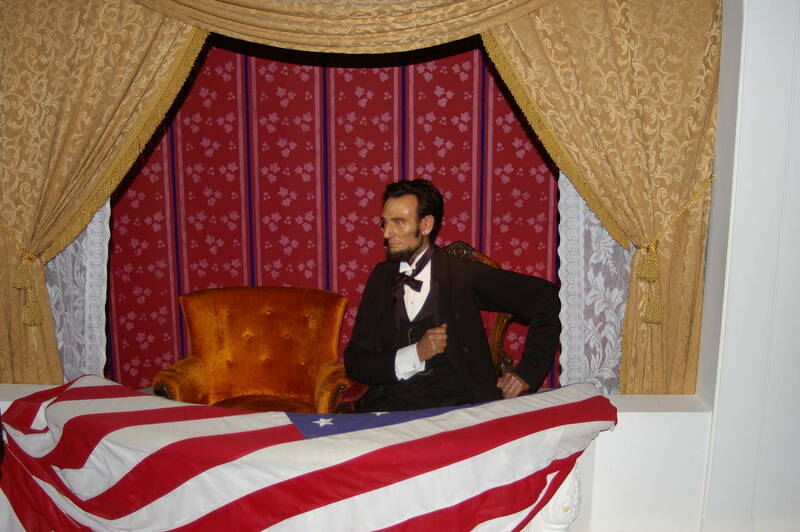 Being in Washington there was a long series of wax likenesses of various presidents, including President Lincoln at the theatre where he was assassinated in 1865 (picture 13). 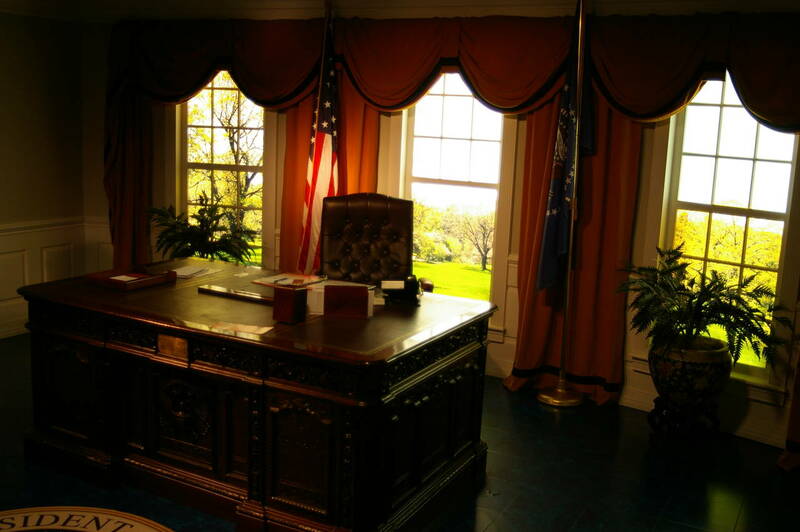 There was also a reproduction of the White House's Oval Office (picture 14), and waxworks of actors, sportspeople (picture 15) and other famous Americans, such as the first men on the moon (picture 16). 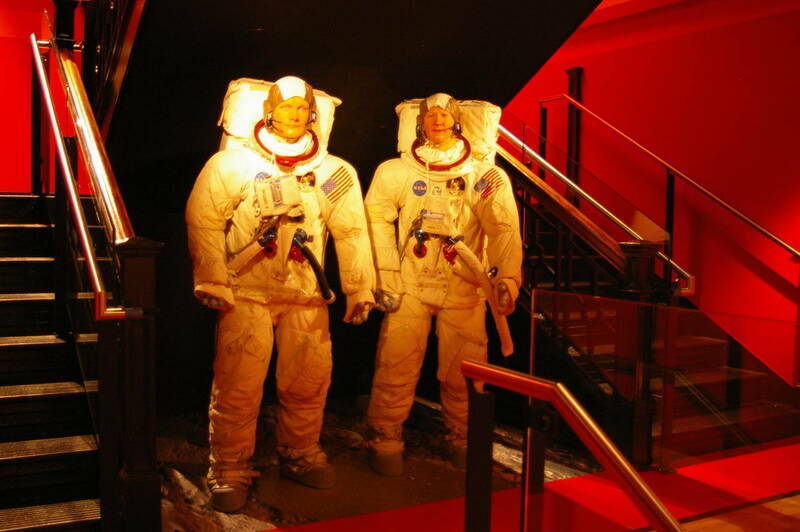 This last pair of waxworks was finally getting closer to my main reason for coming to Washington: a visit to the Smithsonian Air and Space Museum (picture 17), a huge stone building that houses exhibits on America's aviation history and the space program. 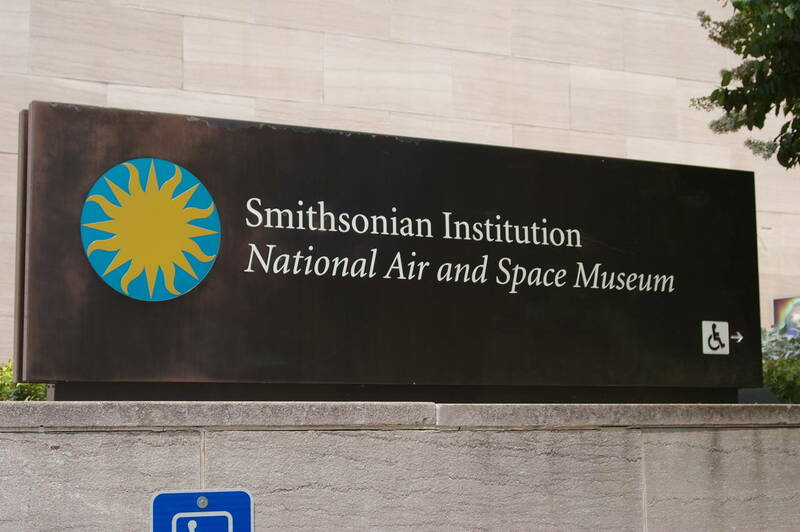 This was the kind of place where I could easily have spent several days, but I only had two-and-a-bit hours. 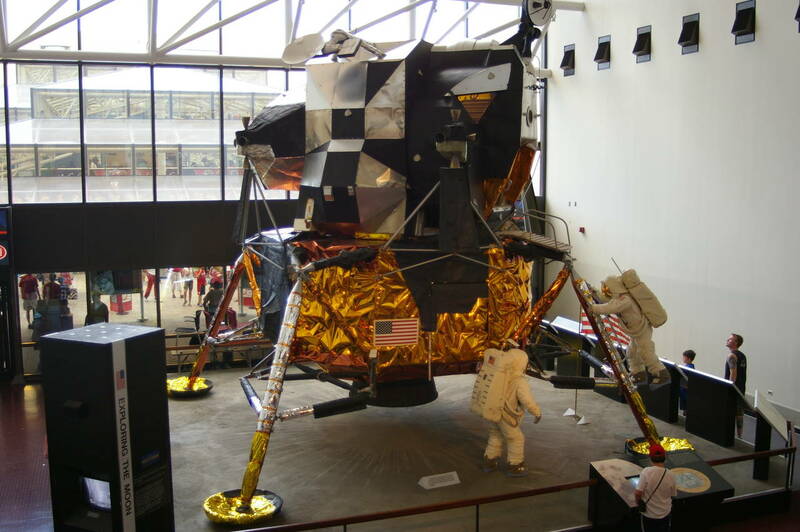 One of the most popular exhibits is the Command Module of Apollo 11, which carried the first astronauts to set foot on the moon (picture 18). 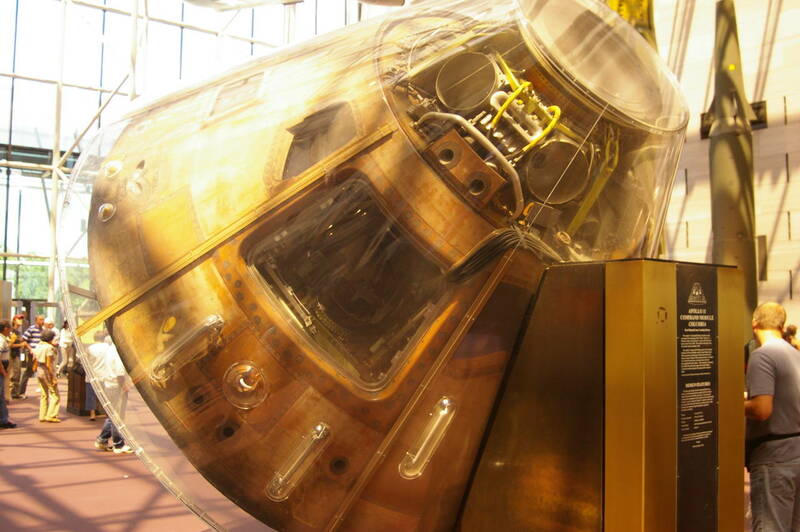 The battered and scorched capsule, which isn't much taller than a person, is now encased in a cone of perspex. It's hard to believe that such a small craft could safely carry three men such a great distance. 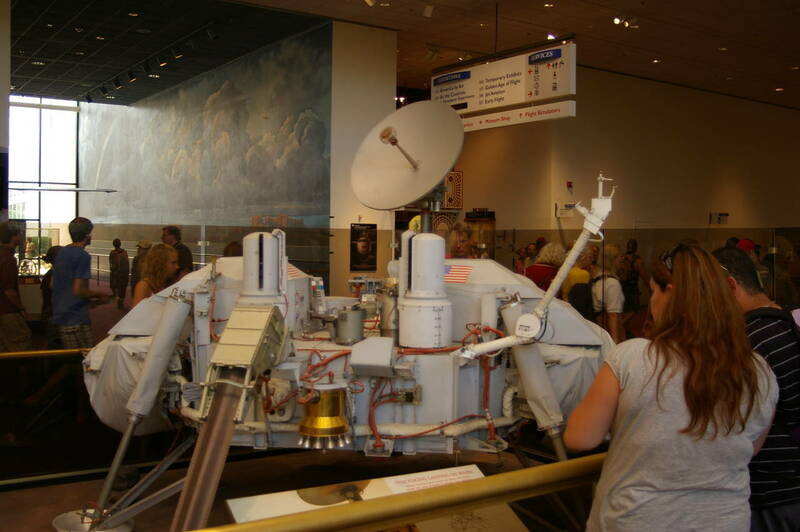 At one end of the museum is a large display of a replica of the Apollo 11 Moon Lander (picture 20), though I recall a high-school physics lesson where we were told that to minimize weight the real lander was only designed to support itself in the moon's gravity and the legs would collapse under the lander's weight in Earth's gravity. 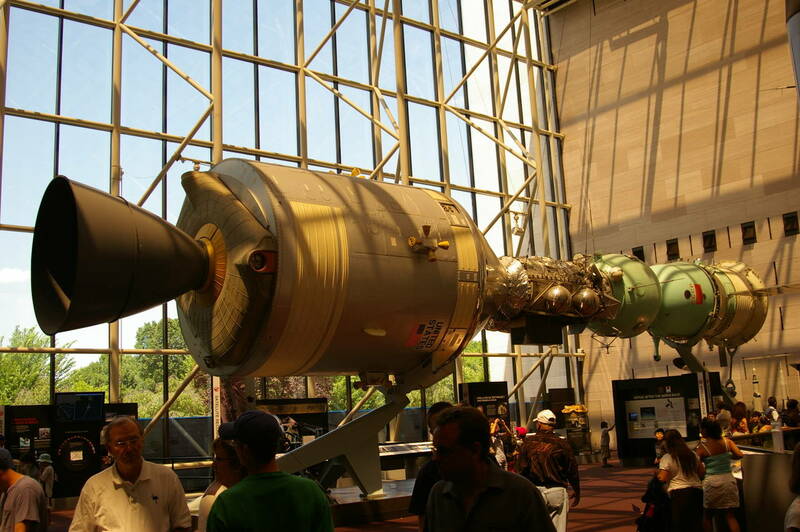 The museum also has displays of various other space hardware, including American and Soviet orbiting capsules of the 1970's (picture 21), a large section on the space shuttle program (picture 22), the hubble telescope, and a plethora of missles and rockets. 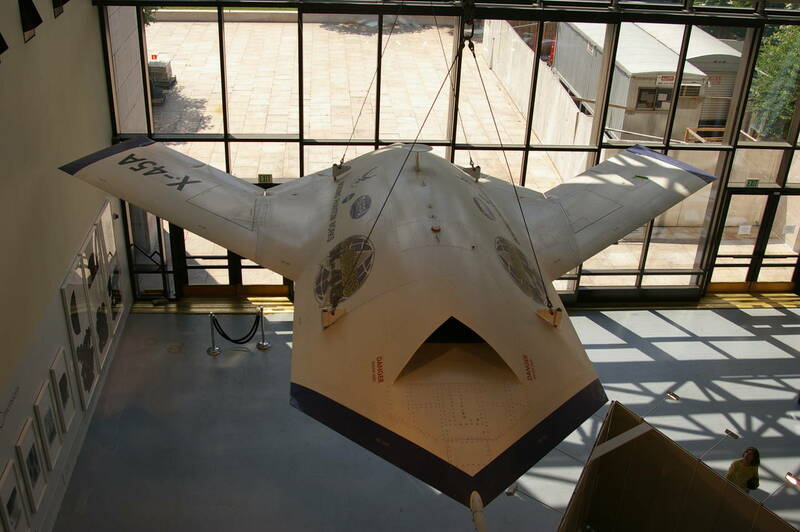 As well as spacecraft there are all sorts of aeroplanes from every era of aviation; bi-planes, early and modern passenger jets (picture 23), vintage fighters and bombers and futuristic experimental planes (picture 24). 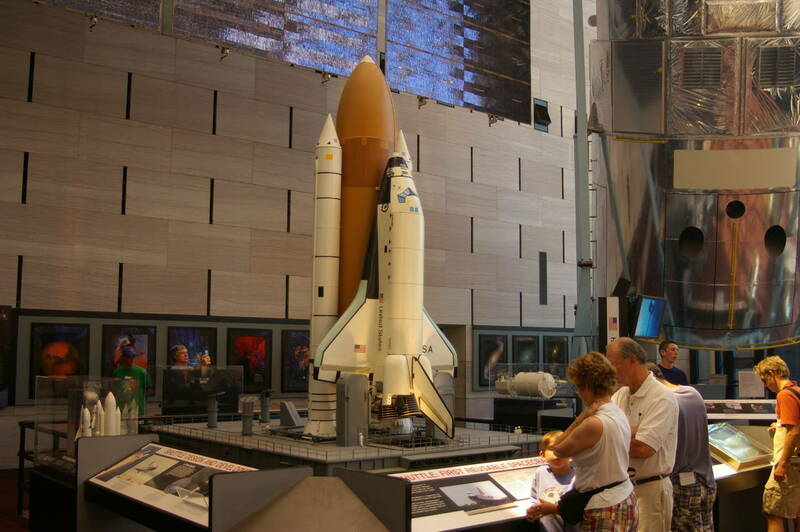 All too soon it was time to leave the Air and Space Museum and get on board the bus back to New York, but not before getting to touch a small piece of rock that one of the Apollo missions brought back from the moon.